Discover the latest travel tech news, sign up for our email newsletter to enter! Contest runs 11/12 to 11/26. New email subscribers are entered to win 1 of 2 exclusive GoPro giveaway packages. Entrants must be 18 years or older and live within the 48 contiguous United States. Winners will be contacted via email. Discover House of Marley & Win! Crafted with sustainable materials, designed for high quality performance. Follow @InMotionstores and @HouseofMarley on Facebook, Instagram or Twitter and win a high end speaker or headphone! Discover House of Marley & Win! Crafted with sustainable materials, designed for high quality performance. Follow @InMotionstores and @HouseofMarley on Facebook, Instagram or Twitter and win a high end speaker or headphone! Multiple Winners Chosen Weekly! Follow @InMotionStores and @HouseofMarkley on Facebook, Instagram or Twitter. We’ll contact winners weekly via direct message. Every week we’ll choose winners to win high-end electronics that may include products by House of Marley. Winners will be chosen at random and contacted via direct message on the social media platform that they used to enter. When the winner has replied to our message, we will ask for their full name and address to ship the prize to. The winner will receive their prize within 14 business days of initial contact via USPS priority mail with delivery confirmation. No returns or exchanges are accepted unless product is defective. If winner does not reply to direct message within 5 business days, we will choose another winner to award the prize to. Although not required, we may ask the winner to take a pic with their prize and send it to us to post on our social media. InMotion is the travelers’ top destination for electronics on the go. As the largest airport-based electronics retailer in the nation, we pride ourselves on serving your needs on any adventure. Stop by one of our 120+ stores, including InMotion, Soundbalance, Headphone Hub, and iStore (Minneapolis only). We carry the most cutting-edge in premium electronics including noise-canceling headphones, wireless headphones, speakers, tablets, digital action cameras, fitness trackers, portable power and a wide array of mobile accessories. Our high-performance audio products are engineered to deliver the Marley "Signature Sound" that pours out all the energy, emotion and detail of every recording. Marley headphones and audio systems reproduce your favorite music with smooth, powerful bass, stunningly precise mids and an energized high-end. Each product undergoes custom tuning to deliver the most realistic and powerful performances possible. 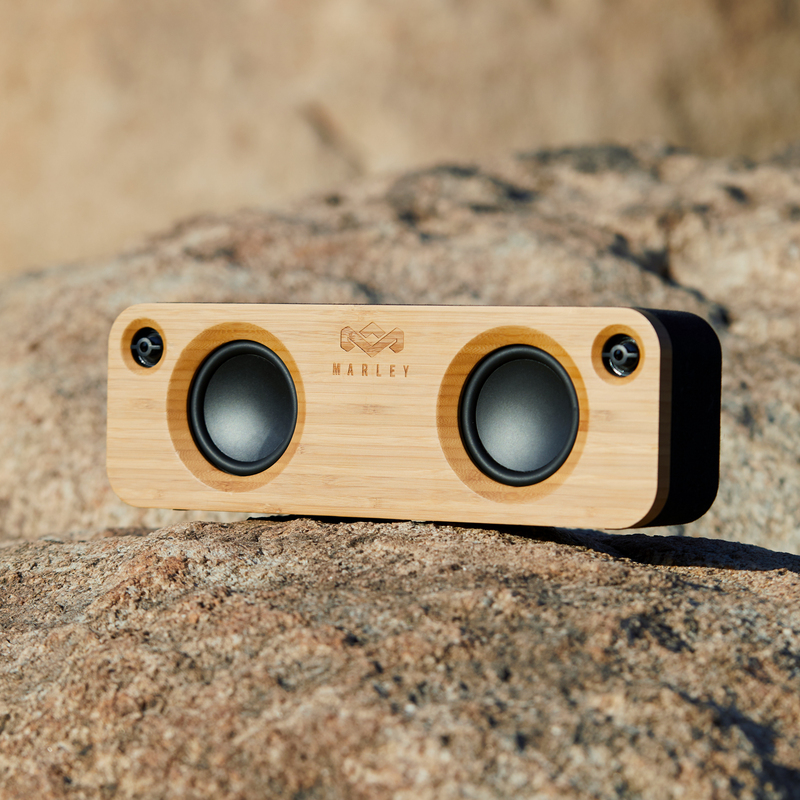 House of Marley products are crafted from mindfully sourced materials including bamboo, FSC™ certified wood, recycled aluminum, plastic and fabrics. Making considered design decisions allows us to provide deeper, more meaningful experiences that ultimately result in positive change. Learn more at HouseofMarley.com/Materials.